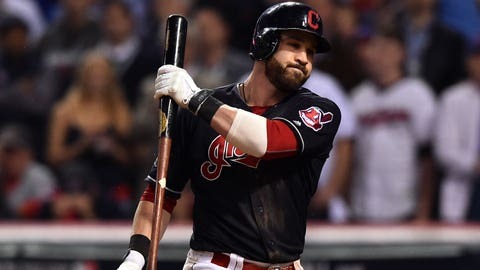 Jason Kipnis let his heart heal a little before heading home last November. He didn't wait long enough. Crushed after losing an unforgettable Game 7 of the World Series, Cleveland's second baseman thought he was mentally prepared to visit Chicago, his hometown, which was still partying like it was 1908 a week after the Cubs won their first title in 108 years. Kipnis had barely gotten off the plane at O'Hare Airport when he was reminded that the Indians finished second. "A random guy, probably at 6 a.m., yelled `Go Cubs Go!' at me and I didn't give the right response," Kipnis said. "I didn't handle it too well." It's Cleveland's turn to fix that. 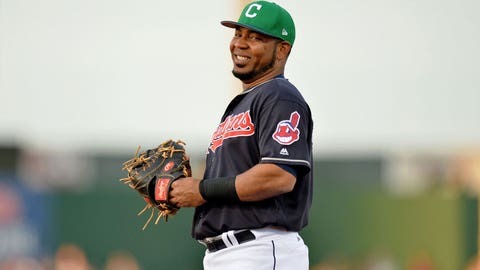 Seizing on their momentous '16 season, the Indians signed Encarnacion to a three-year, $60 million deal -- the richest in club history. He made an impact before his first homer as his signing triggered a spike in season-ticket sales. Encarnacion hit 42 homers and drove in 127 runs last year for Toronto, and his presence alone in the heart of Cleveland's lineup will influence what pitches all the Indians see. There will be pressure, but Encarnacion, who has hit 193 homers since 2012, has the disposition and swing to thrive in it. Brantley's recovery from right shoulder surgery -- and a second procedure on his biceps -- has sidetracked a career that was just taking off. The 29-year-old was on the cusp of becoming one of baseball's biggest stars when he got hurt diving for a ball in the gap at the end of 2015. Both he and the club have taken a deliberate approach this spring, with the goal to get him completely recovered and ready -- no matter how long it takes. 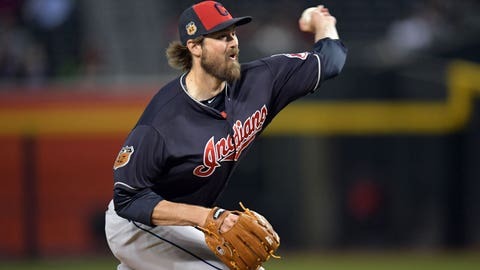 With Andrew Miller, Cleveland's bullpen has gone from good to elite. The left-hander's postseason dominance -- 1.40 ERA, 30 strikeouts in 19 1/3 innings -- changed Francona's late-game strategy and ignited debate over whether he was breaking new ground. Cody Allen is overshadowed by the 6-foot-7 Miller, but the right-hander has been one of the AL's most dependable closes for several seasons. Bryan Shaw and Dan Otero are durable and reliable, and left-hander Boone Logan will be c ounted on in key situations. In no time at all shortstop Francisco Lindor has become the Indians' most valuable player and one of the league's best. 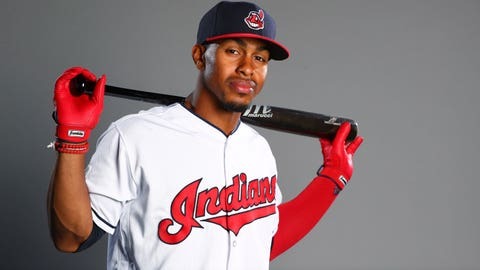 All Lindor did in his first full season was bat .301 in the regular season, .310 in the postseason, make the All-Star team, win a Gold Glove and display the confidence of a seasoned vet from start to finish. 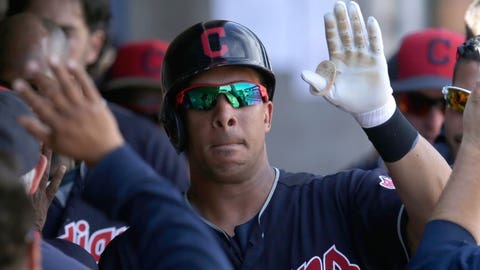 Only 23, his brightest days are ahead which is why the Indians have discussed signing him to a long-term contract despite having financial control over him through at least the 2021 season. With Kipnis slowed by the shoulder injury, Francona may start the season by moving Jose Ramirez from third to second. 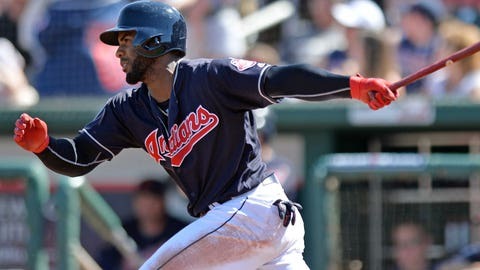 That leaves another opening to be filled by Yandy Diaz, a sweet-swinging 25-year-old, who hit .325 in 95 games at Triple-A Columbus in 2016. His defense needs work, but the Indians are confident he will hit. Also, outfielder Bradley Zimmer, an elite 6-foot-5 athlete who can run, will help the Indians at some point in 2017.